There was a time when pupils leaving Northland Primary School would feel afraid of moving to secondary school. The prospect of a new, bigger environment with constant changes of teachers and classrooms, and the possibility of a new set of classmates was daunting and, for some, terrifying. But last year’s year 6 left feeling confident and positive. Furthermore, their teachers noticed their academic achievement in the build-up to year 6 SATs had improved in English and mathematics. The change in attitude came about after pupils participated in a study looking at how improving children’s resilience, self-esteem and personal skills during the four terms prior to leaving primary school might help them adapt to secondary education. The project, called Building for Progression: A foot on the ladder, was carried out by ASDAN, a skills-based awarding body, and the Progression Trust, and supported financially by the Paul Hamlyn Foundation. Three primary schools and a secondary, all based in Rugby, Warwickshire, participated in the study. 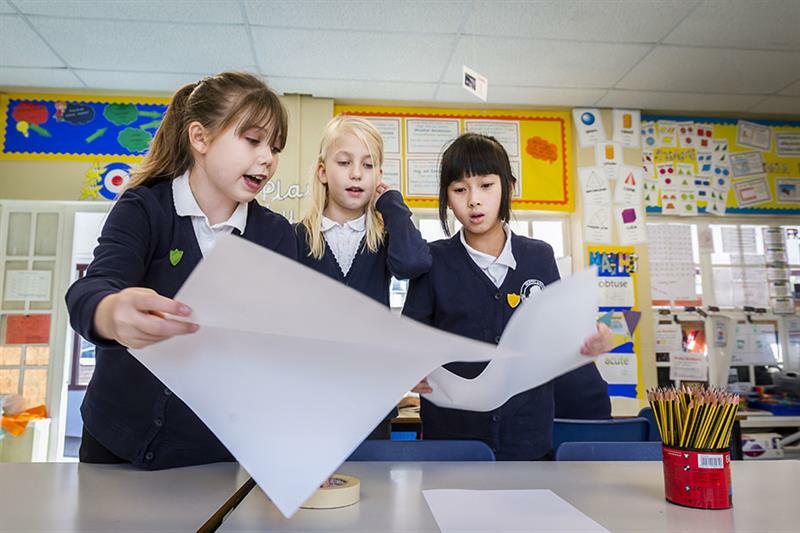 It involved teachers helping pupils to develop and explore their personal skills either in discrete lessons involving the whole year group or in a cross-curricular approach, for example during English or PSHE lessons. Teachers used their own professional expertise and judgement to create activities and tasks that suited their pupils’ needs. The focus was on building confidence, self-awareness and self-control by focusing on pupils’ strengths and encouraging positive thinking. Tash Bonehill, assistant head at Northlands, said the improvements in pupils’ attitude and approach were evident: “Pupils were more likely to try new things and they were putting themselves forward more to take part in activities. For example, more learners involved in the programme started attending after-school clubs and going to school competitions. When we held a fundraising event, many of the learners put themselves forward to participate. “The year that we delivered the Building for Progression programme for our year 6s, our SATs results improved, with particular advancements in English and maths. We have a structure in place to gauge progress in these subjects weekly: novice, which involves the basics and a lot of support from the teacher; apprentice, where learners receive some support; practitioner, where the learner is able to work independently; and expert, where the learner has mastered the subject. In each of the participating schools, teachers noticed that youngsters who took part in the project used more positive and confident language around the prospect of moving school, as opposed to a comparison group of pupils who were in the year above and had not participated in the scheme. The most effective strategies to come out of the project have been refined and will be published in a students’ booklet called Lift Off. While the sample of pupils involved in the research was statistically small – the other two primaries involved were Riverside Academy and Boughton Leigh Junior – it provided some interesting insights into how children felt about the prospect of changing schools. The proportion of pupils who felt excited about the move to secondary school was 56 per cent for the intervention group, compared with 45 per cent in the comparison group, and for those who felt “confident and/or happy” about the prospect the figures were 33 and 21 per cent respectively. Children who were in the intervention group were also more likely to look forward to learning new things – 16 per cent compared with six per cent – while the numbers who were now looking forward to making new friends was 18 per cent compared to zero in the control group. Ms Bonehill said that when those pupils came back to see her after moving to year 7 they “spoke about secondary school in such positive terms, saying they were really enjoying it”. She added: “My pupils from the previous year had also come back to see me but were less positive, instead often referring to their secondary school experience as ‘okay’. Jenny Drake, a year 6 teacher at Boughton Leigh, said: “Our learners flourished through the programme and they developed their confidence, self-esteem and communication skills. Their resilience and determination also improved – we noticed pupils did not give up easily with challenges and activities. Alison Davies, headteacher of Avon Valley School, the secondary participant in the project, said: “Many students who come to us in year 7 are just not ready for secondary school. We are a non-selective school in a selective area and a significant proportion of our children just don’t get the experiences in life that will enable them to transfer from primary to secondary school feeling confident. “Student experience at this time can have a huge impact on their success, achievement and engagement as they move through school: we don’t want them to have any problems further down the line. Dorothy Lepkowska is a freelance education journalist.